A database backup process is an integral part of a recovery system. All backups must be operable so that they can be restored at any time. It is recommended to make regular database backups and the majority of SQL Server users actually follow this recommendation. But how can you be sure that you would be able to restore the database from the backups? Sometimes backups can be corrupted. This is why it is useful to test database backups for their integrity. Of course, the best check for any backup is a restore to a server, but there are some other, less radical ways of doing it. Let’s explore CHECKSUM and VERIFYONLY options. The checksum is a value calculated from the data page bytes. Equal data pages have equal checksums. 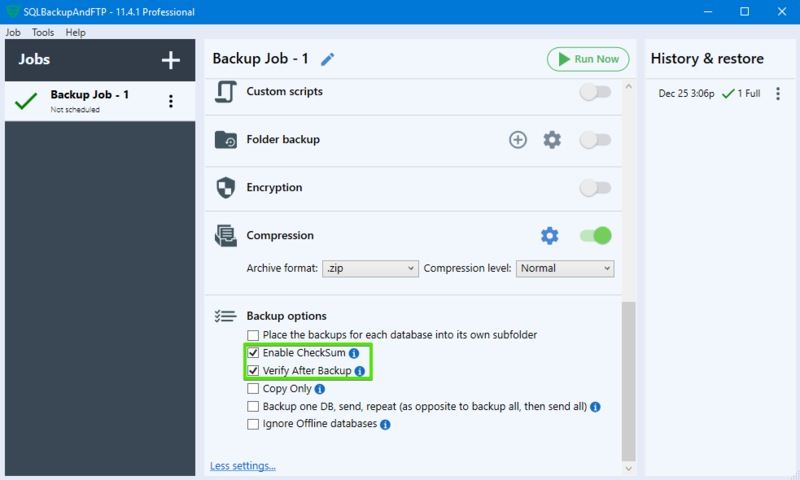 To make the checksum recorded into each page of the backup file the “WITH CHECKSUM” option needs to be added to “BACKUP DATABASE” command. The media family on device 'd:/checksum.bak' is incorrectly formed. SQL Server cannot processthis media family. 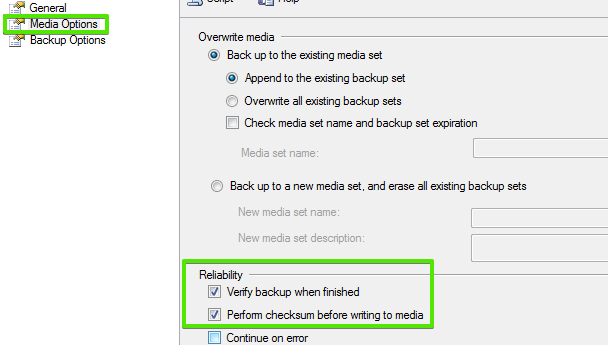 Just scroll down to the “Backup options” section and check off “Enable CheckSum” and “Verify After Backup” options.